This year's additions to the National Recording Registry were announced last month, which include 25 songs, albums, or audio recordings from the early 20th century up to the present. This year's selections bring the total number of recordings in the registry to 500! What is the National Recording Registry, you ask? Similar in scope to the National Film Registry (of which we have written about in past blog posts), it is the Library of Congress' program which preserves an ever-expanding list of sound recordings deemed "culturally, historically, or aesthetically significant." “Footloose” (single) by Kenny Loggins (1984) remake released in 2011. "Naughty Marietta" was first released as a black wax cylinder in 1911, but then later remastered in 1913 in Edison’s new Blue Amberol cylinder line, capturing nuances of the orchestra not possible with disc recording technology of the time. "Sitting on Top of the World", recorded in 1930 by the Mississippi Sheiks, is one of the most covered songs included on the Registry, having been performed and re-recorded in various styles, from folk to country to bluegrass by Cream, Howlin’ Wolf, Willie Nelson, Bob Dylan, and Jack White, to name a few. Artur Schnabel’s recording of Beethoven’s 32 sonatas in 1932 was the first complete recording of that collection. The 1965 film musical The Sound of Music is one of the biggest box office hits in the film history, being named to the Library of Congress’ National Film Registry in 2001. As of 2013, Fleetwood Mac's Rumours album has sold over 40 million copies, making it the fifth best-selling album in US history. Run-DMC's Raising Hell is one of the most influential albums of all time and a breakthrough crossover mainstream hit, marrying streetwise rap with hard rock, featuring their genre-mashing collaboration with Aerosmith on the song "Walk This Way." Between the following catalog list and the Spotify playlist below, you can listen to all of the newly registered songs. What audio recordings do you think should be included in future installments? Let us know in the comments! 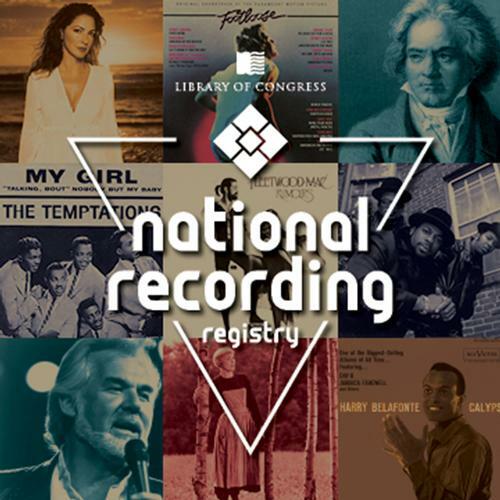 The National Recording Registry annually preserves an ever-expanding list of sound recordings deemed "culturally, historically, or aesthetically significant." 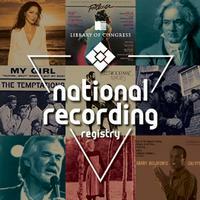 Add a Comment to National Recording Registry Reaches 500 Songs—Take a Listen!